The Graduate School of Excellence "Materials Science in Mainz" (MAINZ) has again awarded visiting professorships to two outstanding scientists. The MAINZ Visiting Professorships 2016 were presented at a gala event on Monday evening to Professor Egbert Willem Meijer, a chemist of Eindhoven Technical University in the Netherlands and to Dr. Gen Tatara, a theoretical physicist of the Japanese research institute RIKEN. Visiting professorships are a way to attract foreign scientists to the various departments of the MAINZ Graduate School so they can do part of their research here as well as work with the doctoral candidates studying at MAINZ. Their input can take the form of lectures, seminars, and workshops that help in training doctoral candidates at MAINZ. The visiting professorships have been awarded annually since 2013 to a maximum of two scientists. Dr. Gen Tatara heads a department for theoretical physics at the RIKEN research institute in Japan. He works in spin physics, a field of research with a focus on the intrinsic angular momentum of electrons. Tatara’s particular emphasis is on the reciprocal effect between spin currents and magnetization in condensed matter. He has made pivotal contributions to the theoretical description of the dynamics of domain walls. As a visiting professor in Mainz, he will not only forge contacts with scientists in the field of theoretical physics, but also intensify his connections to experimental groups with whom he has in part already published. 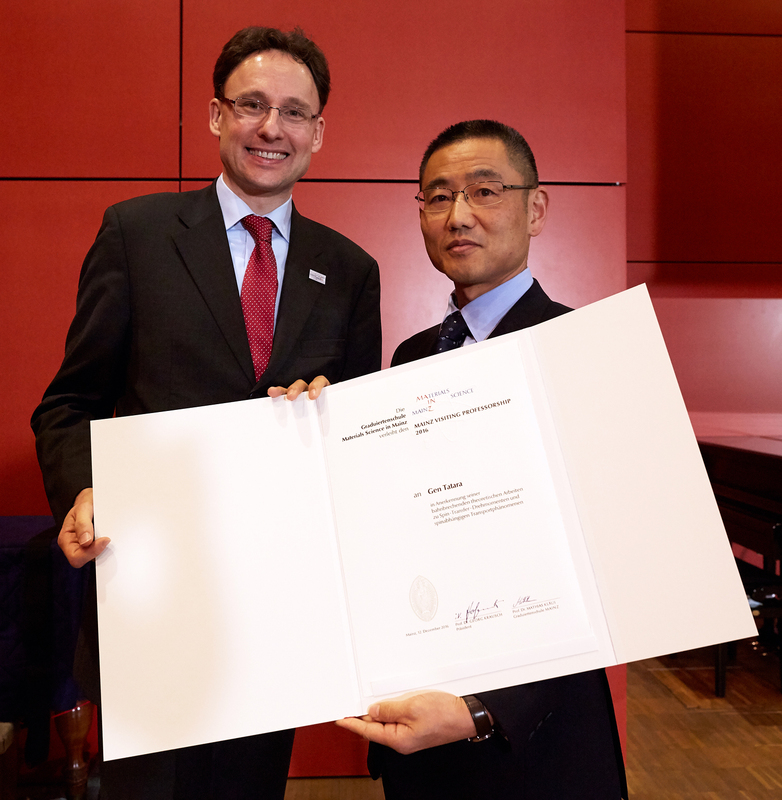 In particular, the Japanese scientist will offer doctoral candidates at the MAINZ Graduate School an opportunity to participate in courses on theoretical methods in spintronics. The Mainz Graduate School of Excellence was approved through the Excellence Initiative of the German Federal and State Governments in 2007 and its funding was extended for another five years in 2012. It consists of work groups from Johannes Gutenberg University Mainz, TU Kaiserslautern, and the Max Planck Institute for Polymer Research. Doctoral candidates benefit from the outstanding educational opportunities in the field of material sciences.